Rheumatoid arthritis (RA) is a chronic autoimmune disease causing inflammation of the joints. In RA the membranes around the joints become inflamed and release enzymes that cause damage to the surrounding cartilages and bones. In severe cases, other tissues and body organs also can be affected. Individuals with rheumatoid arthritis often experience pain, swelling, and stiffness in their joints, especially those in the hands and feet. Motion can be limited in the affected joints, curtailing one’s ability to accomplish even the most basic everyday tasks. Rheumatoid arthritis can eventually result in bone erosion and joint deformity. The pain and disability associated with rheumatoid arthritis can affect a person’s work and family life. -Joint protection is a proven strategy to help you manage rheumatoid arthritis pain and perform daily activities more easily. -Arthritic joints can’t tolerate as much stress as healthy joints. Pushing, pulling or twisting motions can be painful, so avoid unnecessarily stressing your joints. -Don’t use the affected joint vigorously. You might make the pain worse and increase your risk of developing joint deformities. -Don’t give your joints the chance to become stiff — keep them moving. -If pain persists for one hour after you do an activity, consider changing how you do it. -Take rest breaks in between your work. -Alternate between sitting and stretching, and light and moderate activities, throughout the day. -If you have pain in your feet, wear proper shoes. -While sitting use good back and foot support. Your forearms and upper legs should be well-supported, resting level with the floor. -For typing or reading, give proper support to your forearm and wrist. An angled work surface for reading and writing is easier on your neck. -While standing the height of your work surface should enable you to work comfortably without stooping. Heat can help ease your pain and relax tense, painful muscles. Cold may dull the sensation of pain. Cold also has a numbing effect and decreases muscle spasms. While walking benefits everyone, it’s especially helpful if you have RA. Walking helps you maintain a healthy weight, which eases stress on your joints. It also strengthens the muscles around your joints, which can reduce joint pain and inflammation. Gentle exercise can help strengthen the muscles around your joints, and it can help fight fatigue you might feel. Avoid exercising tender, injured or severely inflamed joints. Swimming, yoga, aerobics and other exercises that are easy on the joints can help keep the body properly stretched while not placing too much pressure on the body and can improve the mobility of your joints. Whole grains, fresh fruits and vegetables, fish, olive oil, and garlic are filled with omega-3 fatty acids. There’s good evidence that omega-3 oils are helpful in the treatment of inflammatory diseases. Watch a video testimonial of a patient treated for Rheumatoid Arthritis successfully at Life Force. Stress can be an intensifier of pain. If you are stressed out it can increase the amount of pain you feel. Thus, keeping your environment as stress-free as possible can reduce your arthritis pain. Find ways to cope with pain by reducing stress in your life. Take rest when you’re tired. Rheumatoid arthritis can make you prone to fatigue and muscle weakness. Get 8-9 hours of sleep per night. This gives your body time for essential rest and recuperation. Excess weight puts a strain on your body, especially your lower back, hips, knees, and ankles. Losing weight can help decrease your pain and increase your energy. Above mentioned simple lifestyle changes and the self-care measure will help you to manage your RA along with proper medication. Homeopathy offers excellent treatment for the cases of RA, especially for those who have not developed joint deformities. The pain control is very effective with homeopathy and this is without any side effects whatsoever. The treatment can also have a role to play in controlling the progress of the condition to some extent and in delaying the onset of complications. 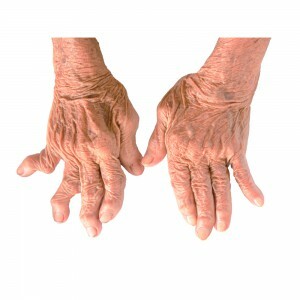 Homeopathy is very strongly suggested for all cases of Rheumatoid Arthritis. Get in touch with us to know how research-based medicines at Life Force can help you to manage your Rheumatoid arthritis. Dr. Aparna Hingmire ,Life Force team.